But that’s not what Lore heard. 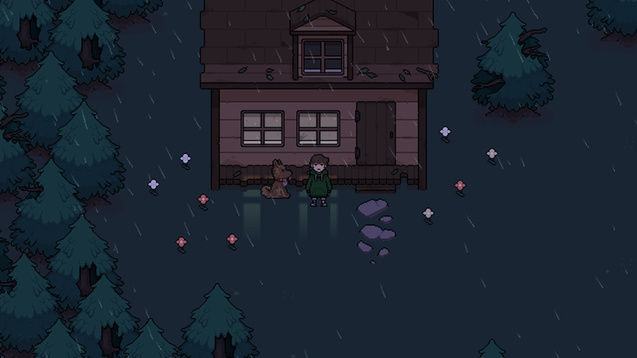 Reminiscent of Japanese roleplaying games like Earthbound and endearing indie cult hit Undertale, Heartbound is a story of a teenage boy named Lore, who is plagued by depression and anxiety. 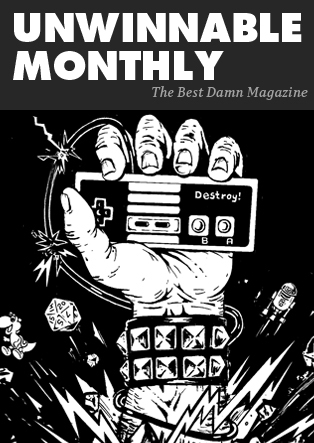 While videogames about mental issues abound, it is still a subject that many titles are tackling with mixed results. Insanity becomes a superficial reason to justify villainy; for instance, the antagonist of Far Cry 3, Vaas Montenegro, is only motivated by his inexplicable need to inflict pain. And in many horror games, sanity meters are used to depict how quickly its characters will spiral into psychosis. Not only are these often inaccurate, but they also perpetuate harmful stereotypes about people with mental health. Evident from the above scenario with the shadowy figure, who is actually his father, Lore sees things a little differently due to his inner turmoil. Daily tasks may seem tedious and daunting, but Lore tries to cope by treating them as a series of videogame obstacles. Taking out the trash becomes a quest that he must undertake with the help of Baron, probably one of the best companions ever in the history of videogames. “The vikings have slain the GARBAGE MONSTER!” enthused Baron. And Lore succeeds. Facing the world when depressed may be one of the most overwhelming challenges, but the encouragement of close friends and furry companions makes the journey much more tolerable. 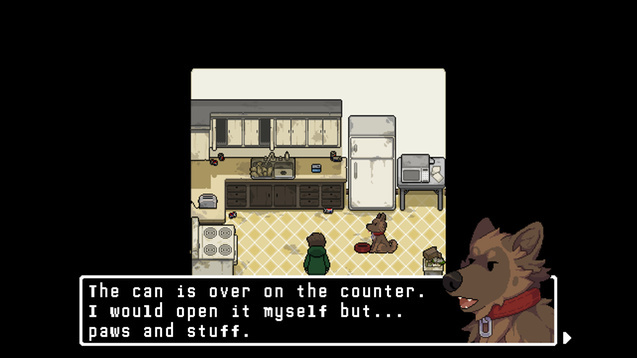 Failure is also not permanent; Heartbound features non-traditional combat akin to the mini games in Wario Ware, and falling in combat never results in death. This means that Lore may slip up sometimes, but he can always get back on his feet again. Pirate Software is gathering funds for Heartbound via Kickstarter, and as of now has already met its goals. Nonetheless, you can experience the game by downloading the demo at the campaign page, or even pledge an amount to help the studio hit its stretch goals. The world could always use more adorable pups.